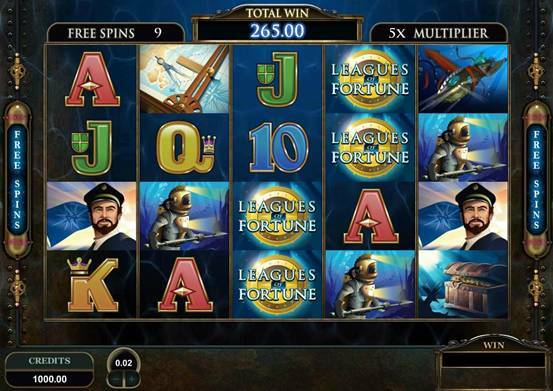 Jackpot City Casino's new rich-featured Leagues of Fortune video slot has a Jules Vernesque undersea theme supporting a big, 5 reel, 1024 Ways to Win slot machine game with generous opportunities for reward through stacked Wilds, Scatters, Free Spins with 5x Multipliers and an innovative Gamble feature. 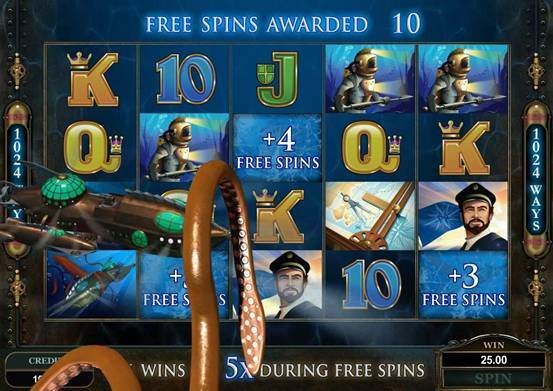 The quality, full colour graphics in this game merit special mention and include giant squids from the deepest regions of the ocean, a Captain Nemo lookalike and his exotic undersea craft, divers and reward-laden treasure chests that will be especially welcome when they appear on the reels. 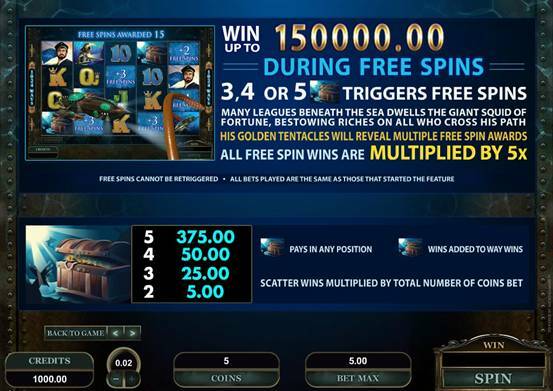 Casino players can gamble to win up to 20x bet size per spin, and the slick presentation screen includes a banking function that allows the player to save up to 50% of the bet. 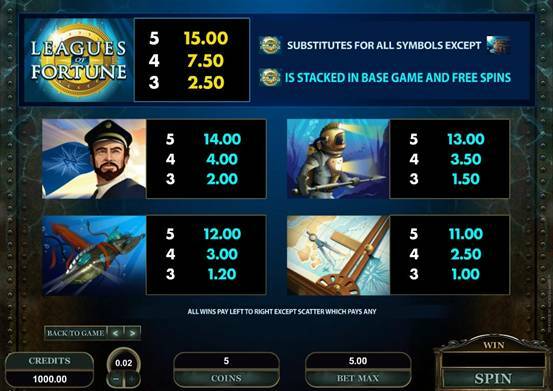 Excitement builds as the globe's indicator starts to move - if it lands in the blue sector, the win is increased to the amount in the 'gamble to win box'. 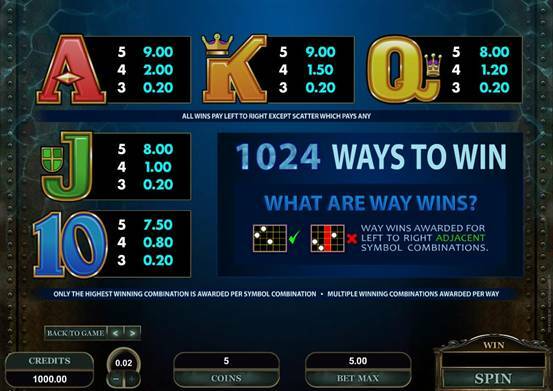 But if the indicator stops in the red sector, the player loses the amount wagered and exits the game with only banked, or 'saved', funds. 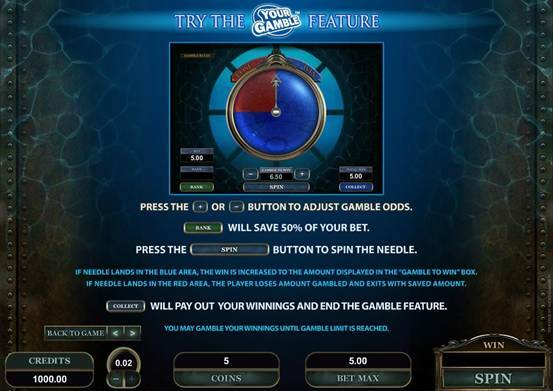 Adding an element of risk is the new optional Gamble facility - a sophisticated advance on the traditional card-and-colour prediction gamble, this opportunity features a globe and an indicator on which the player has the flexibility to choose gamble odds and then bet from his or her individual win box. 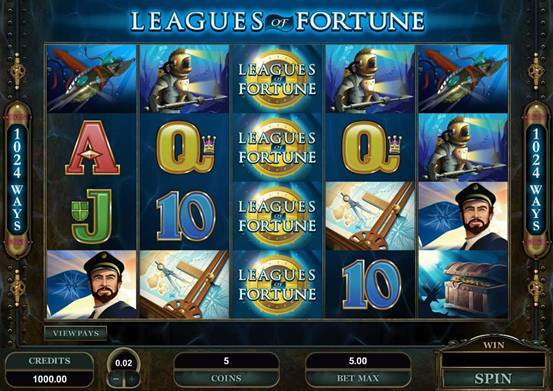 Leagues of Fortune really is a case of diving for dividends, so click over the Jackpot City Casino and test the depths to which this game will go to generate fun and profit!